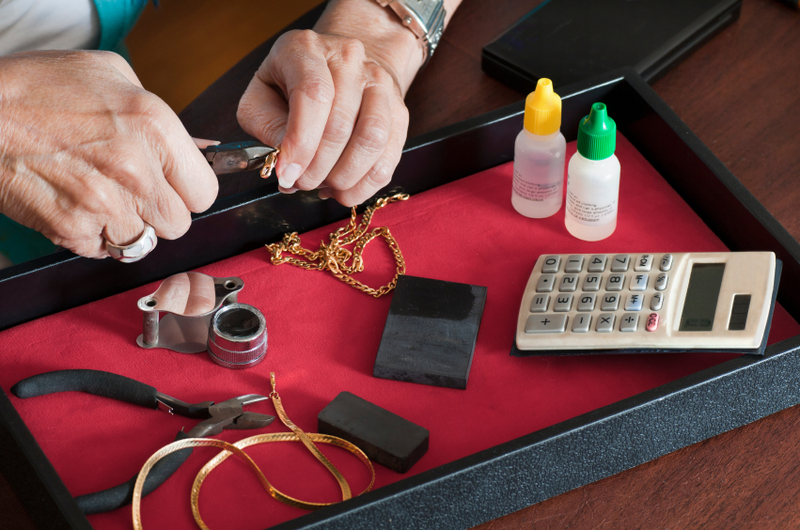 For those of you who feel a tad uncomfortable selling scrap gold jewellery by post, we also offer a counter service which will enable you to sell gold in Sunny Colchester Essex. Unlike many of our competitors who have one price for online customers and give their store customers a raw deal, Goldealers pay the same rates when selling scrap gold to store visitors as online customers. Counter Service, is it worth the travel? Whether you are based in Clacton, Chelmsford, Romford, Ilford, Ipswich, Tilbury or even further out, trust us, it will be worth the journey. Goldealers regularly receive visits from customers as far out as Ireland, Edinburgh, Spain and we also have one regular customer who flies in from South Africa to sell us his Krugerrands. Imagine that, A South African flying to the UK to sell his South African Krugerrands to us because he knows that we quite simply pay better rates than his coins are worth over in South Africa! I guess the point that I am trying to get across, is that we are never too far away, and to trust us, the journey will be worth it. You have 100g of 9ct gold to sell, and live 50 miles away in Romford. Do you sell Gold to your local jewellers for less than £9.00 per gram? Or do you take a trip up the A12 to Colchester to sell gold to one of the premier gold buyers in the country for over £12.00 a gram (correct on Sunday 26th August 2012). An extra £3 per gram doesn’t sound like much, but… If you do decide to sell 100g of 9ct Gold for £9.00 per gram, you are only getting back £900. Take an hour journey up the A12, and sell gold for over £1,200. That’s an extra £300 and a couple of hours of your time. Every little helps – an extra £300 will help much more! Please remember that Goldealers operate on an appointment only basis. Imagine going into a jewellery store, pawnbroker or any other place to sell gold and have others peeking over your shoulder to see what gold you are selling – not very pleasant. What’s more, imagine that you are having some items valued, and another customer is waiting behind you – do you want to feel rushed when making that important decision whether to sell your gold? Goldealers respect and consider customer privacy as extremely important. We want to extend you the time and personal service which you deserve. As such, if you wish to pay us a visit, sell gold, get a valuation or just need some no obligation advice, then give us a call on 01206 585000 and we will be more than happy to arrange a mutually convenient time for your visit. Sell Gold to the UK’s Premier Scrap Gold Buyers in UK Colchester, Essex – Goldealers. Hi Gail, thank you for your enquiry. We are currently paying £12.29 per gram for 9ct gold (4th September 2012). As such, if you posted 265g to us, we would offer you £3256.52 based on today’s prices. Please ring us on 01206 585 000 if you would prefer to sell your gold in person. How much is 500g per gram on gold that is 96% or 98%. At present, the AM fix (market value) on Monday 17th August is £1,089.42. This fix price is based on 1 troy ounce of pure 999 gold. There are 31.1035 grams in a troy ounce, so that means that 1 gram of pure gold is worth approximately £35. So at 98% purity, the market value is £17,150 and at 96%, the market value is £16,800. We do pay different rates for 1. Scrap Gold (e.g. old jewellery which requires processing) and 2. Bullion (which does not require processing). Unfortunately, I have never heard of Jewellery or Bullion which is 96% or 98% pure, so if you could clarify, I will try to provide a more accurate quotation. If your gold is ‘scrap’, as you appear to have quite a lot of gold, we will pay 96% of the market value on day of receipt. If your gold is ‘bullion’, then we will offer you anywhere between 97% and 98% of the market value on day of receipt dependent on type of bullion and demand on the day. Hi how much would you offer for a 1oz 1974 gold kruggerrand? Based on the Gold price for 18th September, we will pay £1059.14 for your Krugerrand. Please note that at 11:00 am every day, the gold prices are updated. Thank you for your enquiry. The price today for a 45g of 9ct gold is £538.20. This price changes daily with the precious metals markets. Our online calculator is automatically updated, in line with the precious metals markets. As such, feel free to check our online calculator to get an instant online valuation. If there is anything else we can help with, please do not hesitate to get in touch. At what price would you pay for scrap jewellery if we could sell 6 – 10 kg per month?